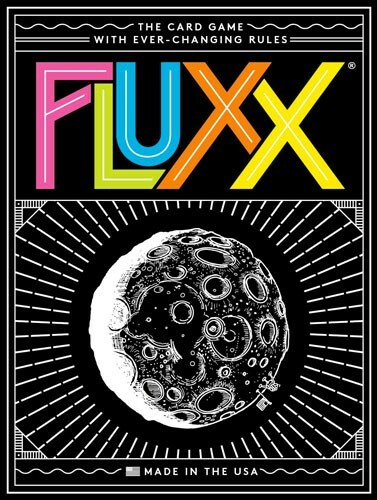 Fluxx is a card game where the cards themselves determine the current rules of the game. 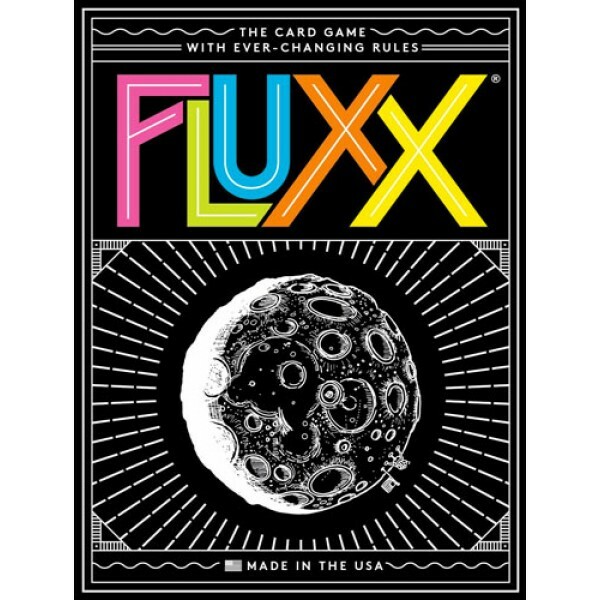 Start out with the basic rules: draw one, play one. 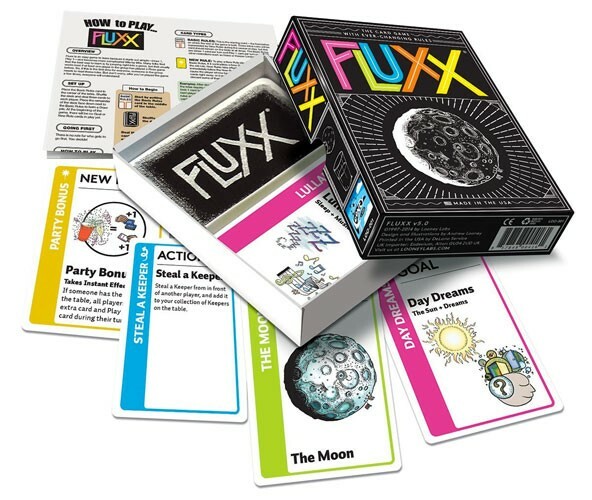 By playing cards, you change numerous aspects of the game: how to draw cards, how to play cards, and even how to win. Plan your strategy, but keep in mind -- before your turn comes around again, the rules might be different again! 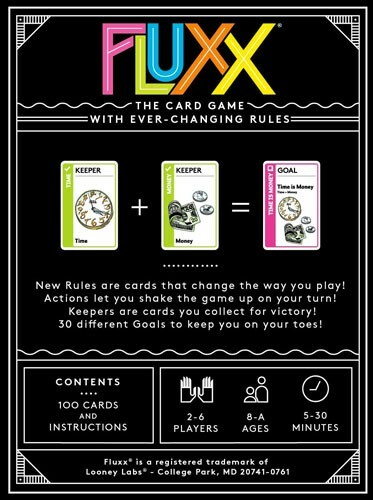 This fun, fast-paced card game from Looney Labs is for 2 to 6 players and takes approximately 30 minutes to play.